First things first, you may THINK that you do not need a GoPro, but believe me when i say this, you do! Now you're probably thinking, GoPro's are used for action-shots for when you're surfing, snowboarding, riding a bike etc. Well, yes, you're right, they do come very handy for those shots, but what about Time-lapses? GoPro's are ideal for creating time-lapses, plug it in on charge (don't use the battery, it won't last long) put it on top of 360 degrees timer and let it capture everything over time. The GoPro that i use is the GoPro Hero 4 Silver. It's one hell-of-a good camera to have, although newer GoPro versions will always have more improvements in quality, size, battery etc. 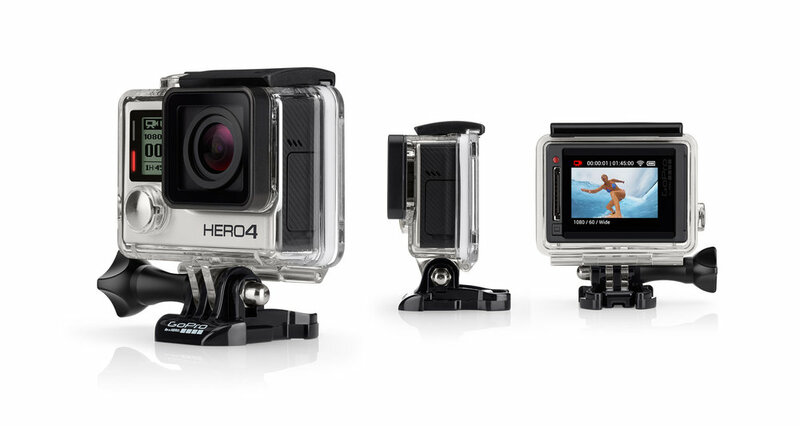 The GoPro Hero 4 Silver is the second best version from the 4 series with the Black edition being a bit better. That being said there is very little difference between the 2. You can still buy earlier versions of the GoPro series online, official stores will most likely not be stocking them anymore, their focus is mainly on selling the new versions with higher prices and better specifications. Depending on what output format you choose for your videos, the fps (Frames Per Second) can double in frame rate allowing you to capture double the frames per second. Moreover, the GoPro records in one of the highest video quality formats: "H.264 codec". For those that do now know what that means, think of the difference bet ween a .JPG image & .PNG image. Individually these gears are expensive to buy, best thing to do is buy the combo pack from Amazon, i think i paid about <£30 for a box that came with all the accessories and spare parts on the right. GoPro releases a new series every year just like a software update or new phone launch similarly to the iPhones. TheGoPro Hero 4 came out 2 years ago and the price since then has depreciated, so with a bit of Googling, you'll find a cheap one from Amazon (not a big fan of Ebay) for about £200. 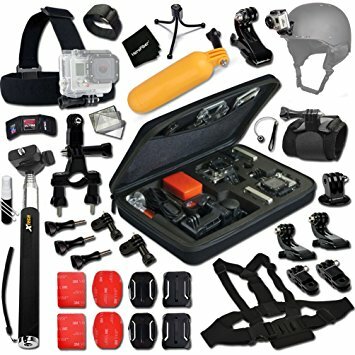 In the box you'll get a spare black stand that attaches to the waterproof case, a USB cable to export charge your GoPro Battery without taking it out of the case.